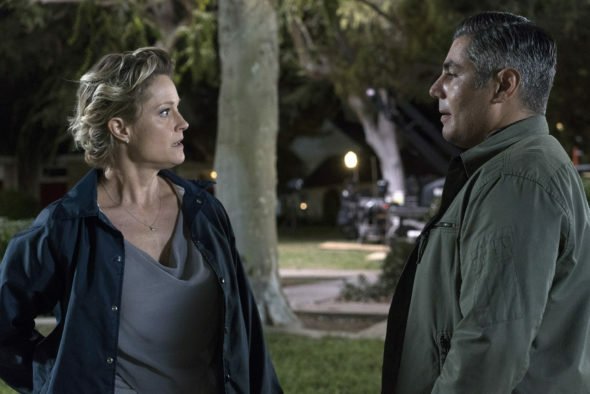 What’s next for The Fosters? Recently, Freeform previewed the the series’ season five return. The drama centers on an interracial lesbian couple, Stef and Lena, who are raising a blended family of foster, biological, and adopted kids in San Diego. The cast includes Teri Polo, Sherri Saum, Hayden Byerly, Noah Centineo, David Lambert, Maia Mitchell, and Cierra Ramirez. The Fosters‘ fifth season returns to Freeform on January 9th at 8 p.m. ET/PT. The series Vanity Fair calls “groundbreaking,” and Refinery29 calls “consistently revolutionary week-in, week-out,” returns for season 5B on TUESDAY, JANUARY 9 (8:00 – 9:00 p.m.). In the season 5B premiere, Ximena and Callie are still in the church seeking sanctuary from ICE and the Adams Fosters offer support to the Sinfuego family as they struggle with their immigration status. 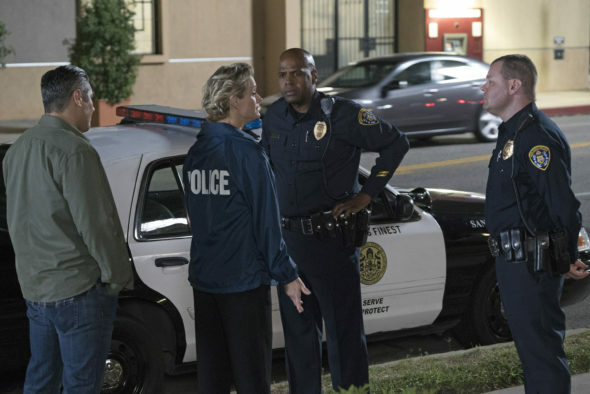 Winner of a Television Academy Honors Award and GLAAD Media Award for Outstanding Drama Series, “The Fosters” is executive produced by Jennifer Lopez, (“Shades of Blue,” “World of Dance”) and created by Bradley Bredeweg and Peter Paige (“Queer As Folk”), who also serve as executive producers and writers, along with Joanna Johnson (“The Bold and the Beautiful,” “Hope & Faith”). What do you think? Do you watch The Fosters? Are you excited for the second half of season five? Is awesome. Renew for season 6 please! Just started watching in 2017, lived the show so much watched in the matter of a couple of weeks. I so hope they do a 6 and 7 ex. Can’t wait til the 1/9.. like the way they turned the show to things that happen in the real world!! SO happy about the news to continue this heart warming and enlightening story. Thanks!! So excited for Season 5B to start January 2018. We were getting desperate for something good to watch! Thank you so much!